Indonesian security forces have unlawfully killed at least 95 people in little more than eight years in the eastern provinces of Papua and West Papua, with the majority of perpetrators never being held to account for the crimes, human rights NGO Amnesty International reveals in a new report. The report, “Don’t bother, just let him die”: Killing with impunity in Papua, describes how police and soldiers have shot dead peaceful independence activists and protesters, as well as dozens of other Papuans in non-political contexts, including a mentally-disabled young man. Killings have shown no sign of letting up since President Joko ‘Jokowi’ Widodo took office in 2014, despite his promises to prioritise human rights in Papua. Usman Hamid, Amnesty International Indonesia’s Executive Director, said: “Papua is one of Indonesia’s black holes for human rights. This is a region where security forces have for years been allowed to kill women, men and children, with no prospects of being held to account. “Our research reveals that almost 100 people have been unlawfully killed in little more than eight years – about one person every month. This is a serious blot on Indonesia’s human rights record. The report documents at least 95 deaths in 69 incidents between January 2010 and February 2018, 56 of which took place in the context of non-independence activities, while 39 others were related to peaceful political activities such as demonstrations or raising the Papuan independence flag, the Morning Star. Despite the alarmingly-high death toll, Indonesian authorities have almost completely failed to hold perpetrators to account. None of them have been tried and convicted in an independent court of law, with only a handful of cases resulting in disciplinary sanctions or trials in military tribunals. Usman Hamid said: “The pattern of police and soldiers applying the same ruthless and deadly tactics they have used against armed groups to peaceful political activists is deeply worrying. All unlawful killings violate the right to life, a human right protected by international law and Indonesia’s constitution. Family members of victims told Amnesty that they still want to see the perpetrators of their loved ones’ deaths brought to justice. In the 69 incidents documented in the report, not one has been subject to a criminal investigation by an institution independent of the one whose members were suspected of committing the killing. In 25 cases, there was no investigation at all, not even an internal one. Meanwhile, in 26 cases, the police or military claimed to have conducted internal investigations but did not make the results public. The majority of unlawful killings documented in Amnesty’s report occurred in the context of non-political events, unrelated to calls for independence or a referendum for freedom in Papua. These types of unlawful killings happen when the security forces deal with peaceful social protests and public disorder, when they attempt to arrest criminal suspects, or as a form of individual misconduct by security personnel. The report describes incidents of unlawful killings as a result of misconduct by security forces that took the lives of 25 people. These include soldiers’ attacks on villages in Honelama, Wamena, on 6 June 2012, and the killing of Irwan Wenda, a mentally-disabled Papuan man, killed by a police officer after he hit the officer using a piece of sugarcane. Security forces have also unlawfully killed Papuans over political activities, including the issue of independence or a referendum for Papua. This type of unlawful killing has taken place when security forces deal with peaceful political protests, particularly flag-raising ceremonies or religious gatherings on commemoration dates. 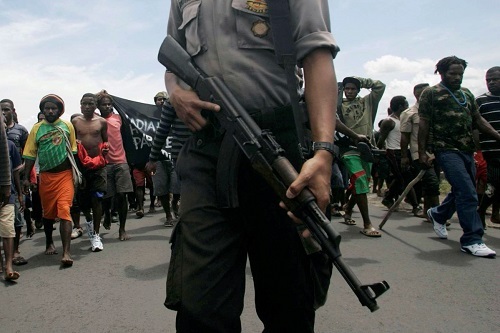 The military and the police fired shots to break up the roughly 1,000 delegates at the Third Papuan People’s Congress, a peaceful pro-independence event, killing three civilians, on 19 October 2011. In another incident, the police and military launched a joint operation in Aimas, Sorong, on 30 April 2013 to break up peaceful evening prayers held by Isak Kalaibin, a member of a pro-independence group, during which they suspected the banned Morning Star flag would be raised. After attendees at the prayers blocked and banged on the car of the Deputy Chief of the District Police with fists and sticks, security forces opened fire into the crowd and at houses in the area, killing three people and wounding five. Meanwhile, in Wanampompi village, Yapen Islands on 1 December 2015, the police and military personnel opened fire into a crowd at a peaceful flag-raising ceremony, killing four people. 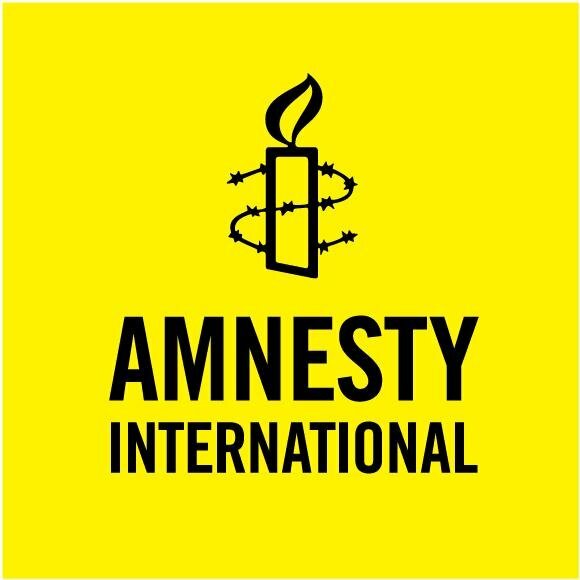 Amnesty is calling on the Indonesian authorities to ensure that all unlawful killings alleged to have been committed by Indonesian security forces are investigated promptly, independently, impartially and effectively. The investigation and any prosecutions should not be limited to direct perpetrators, but also look into any involvement of commanders, irrespective of rank. Authorities in Indonesia must take the initiative to stop unlawful killings in Papua including by issuing and enforcing human rights compliant instructions to the military and police on the use of force, and ensuring justice and reparations for the victims and their family. It is also crucially important to review police, military or other law enforcement officials’ tactics and the use of force and firearms during arrest, to ensure they meet international standards. Previous post Why Saudi Reform?